If you have moseyed through our store, you know that at every turn there is a photo, a carving, a drawing, a painting ......of an animal. 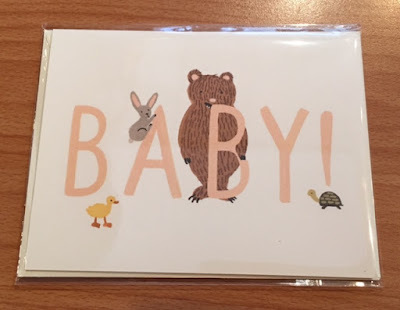 We just love them ! Our resident cat, Loci, was a fixture in our shop (mostly on top of the bed in the window) and had many friends that came to visit her. She has moved on to greener pastures, literally, because she has gone home with her mother, India, and now has lots of green yards to hunt and explore. 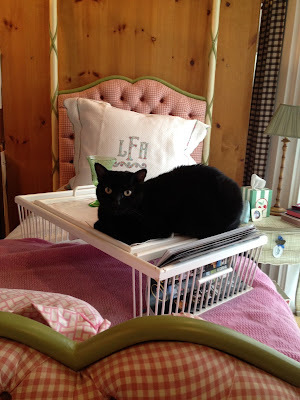 We do miss her ! 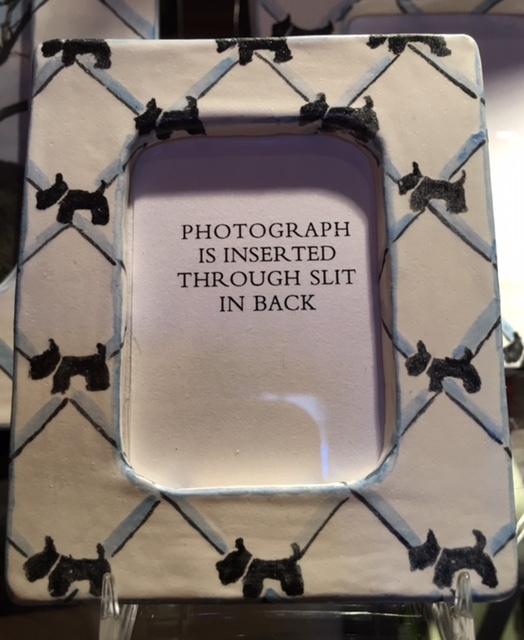 However, we have surrounded ourselves with images of every kind of animal you could imagine. Dempsey & Carroll Dog Notecards $52. 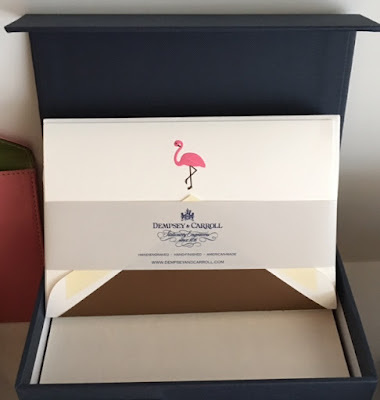 Dempsey & Carroll Flamingo Note cards $55. The Printery Seahorse Notecards $55. 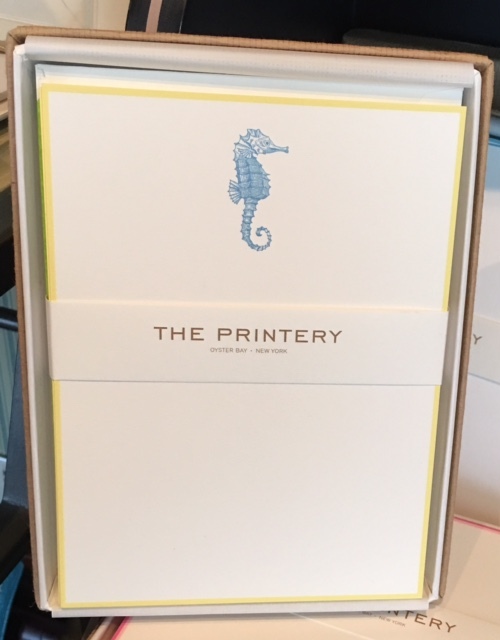 Notepaper is an item we sell daily and many of ours proudly display images of horses, dogs, birds, turtles and fish. Palm Cottage Goods Manatee Notepad $24. 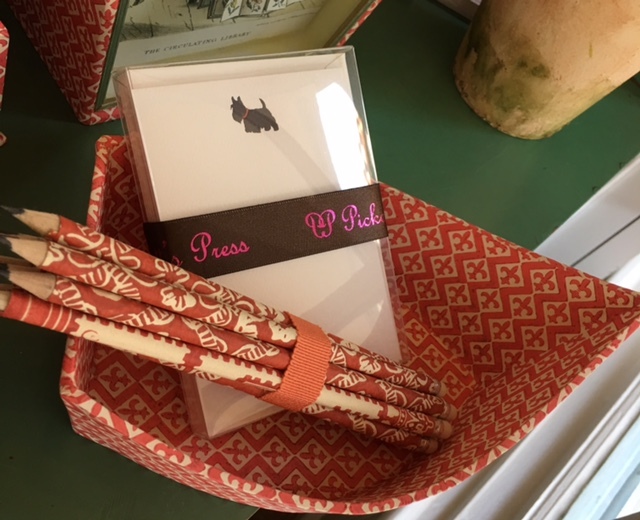 Picketts Press Small Scottie Notecards $20. 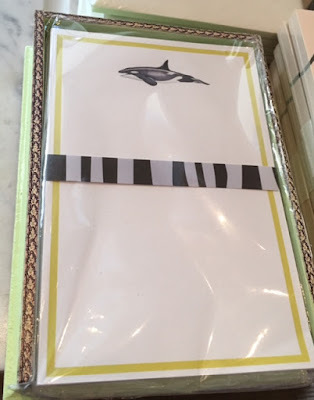 Palm Cottage Goods Whale Notepad $24. 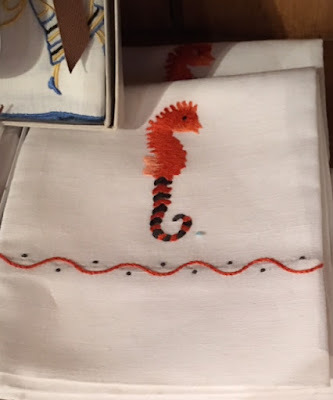 Palm Cottage Goods Seahorse Notepad $24. We have umbrellas for children with animal-themed handles and ones for adults with silhouettes of breeds printed on their canopies. 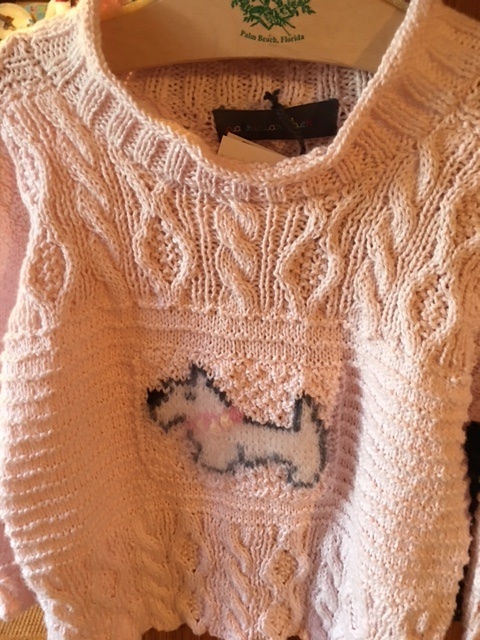 We have intarsia-knit sweaters with dogs, bunnies and monkeys on them as well as little girl's hair clips in the shape of French Poodles and Scotties. Patricia Roberts Westie chesil sweater $320. 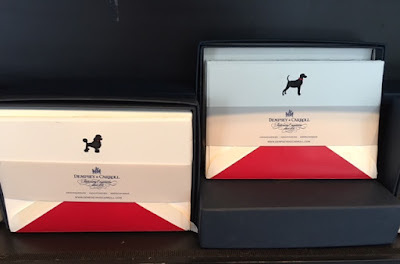 France Luxe Poodle barrette $12. 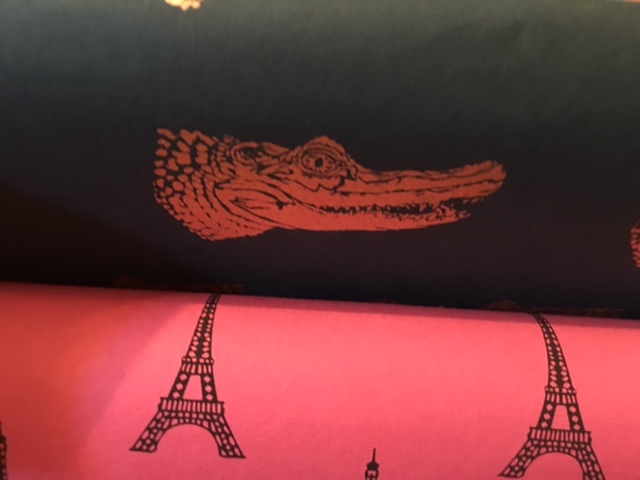 Animals are scattered across our wrapping papers and a large percentage of our cards have happy cats, bears and bunnies as well as not so happy sharks and alligators gazing back at you. Picketts Press custom wrapping papers 12' for $48. Rifle Paper Greeting Card $5. Hanging near the wrapping papers are owl and dog stickers and the most beautiful French ribbon adorned with the cutest Dachshunds, Scotties and Poodles. French ribbon by the yard $4. 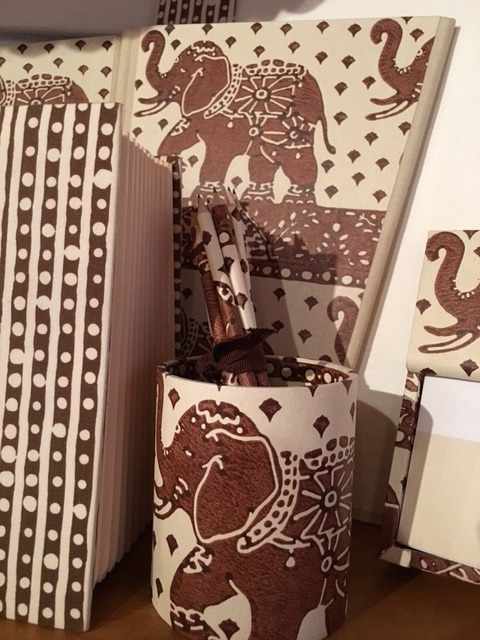 We have several lines of Wastepaper Baskets and Tissue Boxes with animal themes, some painted and découpaged wooden ones and some covered in printed papers. 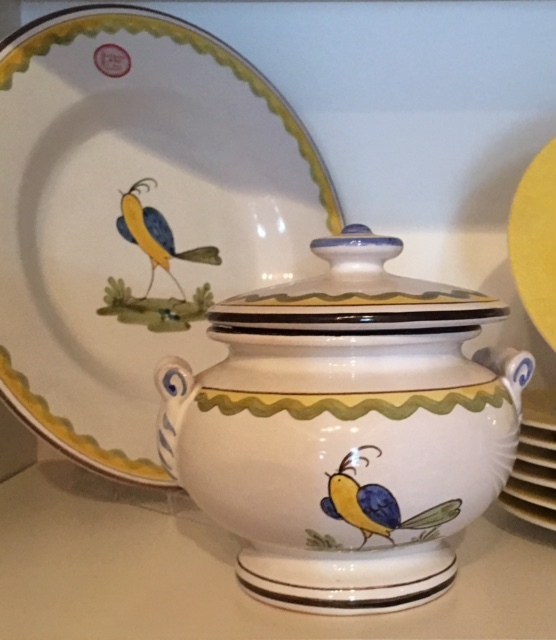 Il Prato has many accessories to match! Palm Cottage Goods decoupage Wastebasket $120.-130. 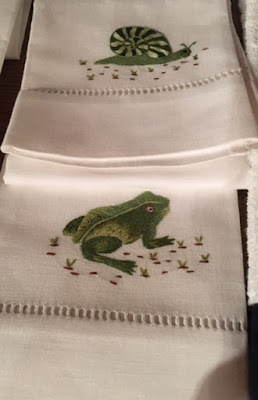 Many of our embroidered linen guest towels pay homage to the animal kingdom. 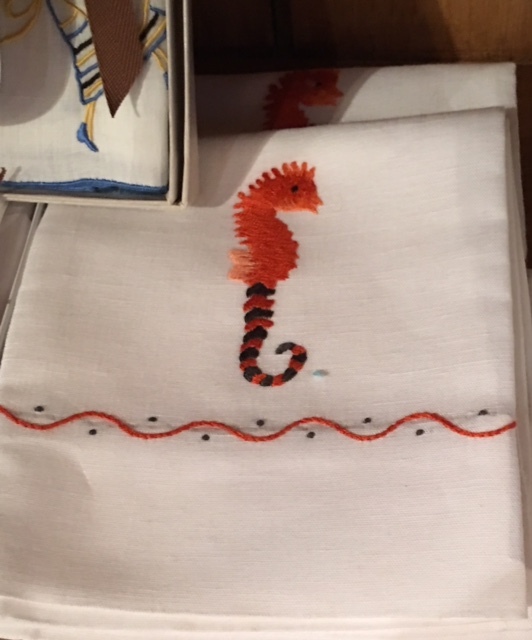 Nouez-moi linen Seahorse Guest Towel $96. 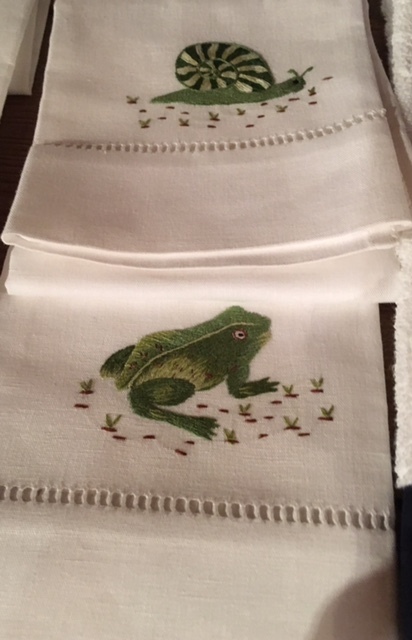 Nouez-moi Linen "Hunt" Guest Towels $96. 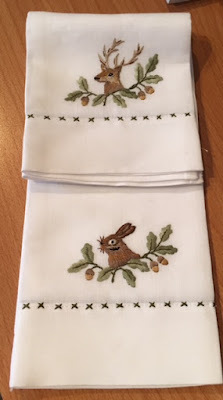 And more Nouez-moi linen Guest Towels $96. Busatti Kitchen towel with bunny $54. 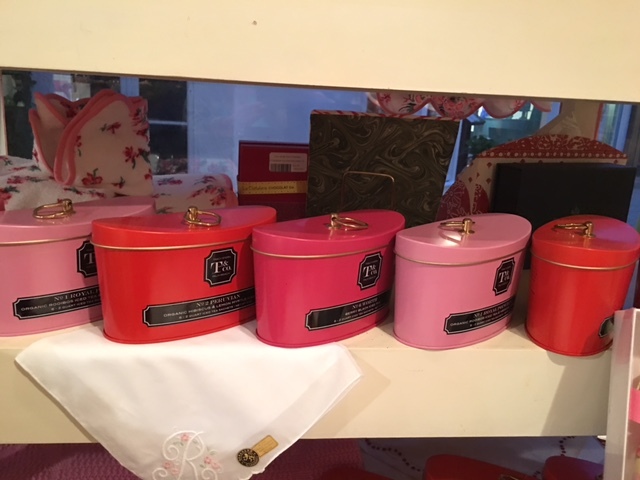 Must not forget our fabulous chinas.....from Au Bain Marie's "Forains d'Orient" to Biot's "Toscan". 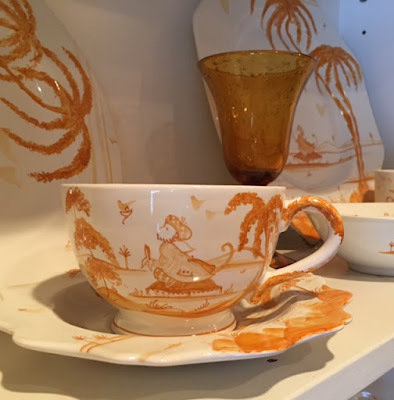 Isis Ceramics Tea Cup and Scalloped Saucer $486. 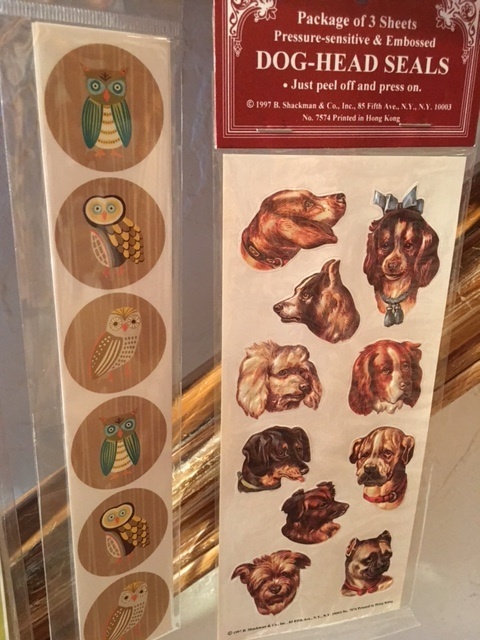 Before you leave our menagerie, why not pick up a reminder of all the fine, furry, feathered and scaled friends you have encountered? 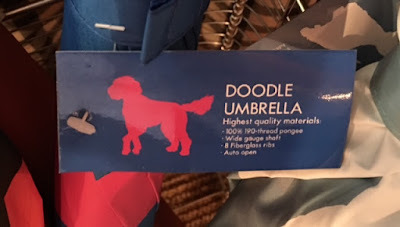 A yummy doggie, kitty or gator cookie might do the trick. 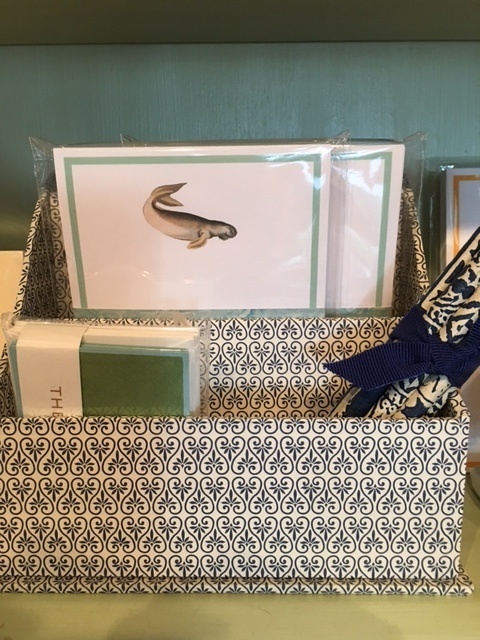 If you are more in the mood for a non-caloric memento, how about a pack of place cards, a little note jotter or an adorable little frame ? 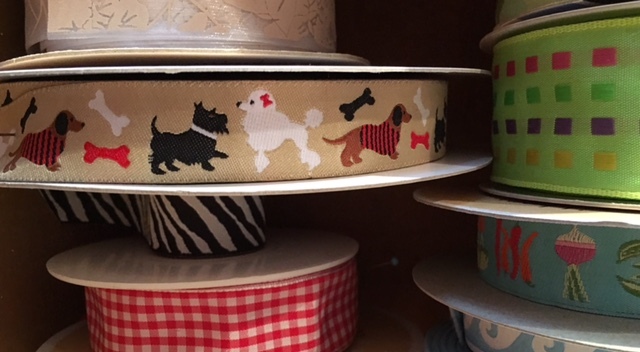 Order a monogrammed belt with a Lizard embroidered on it.....or maybe your dog, your cat or your horse's likeness. 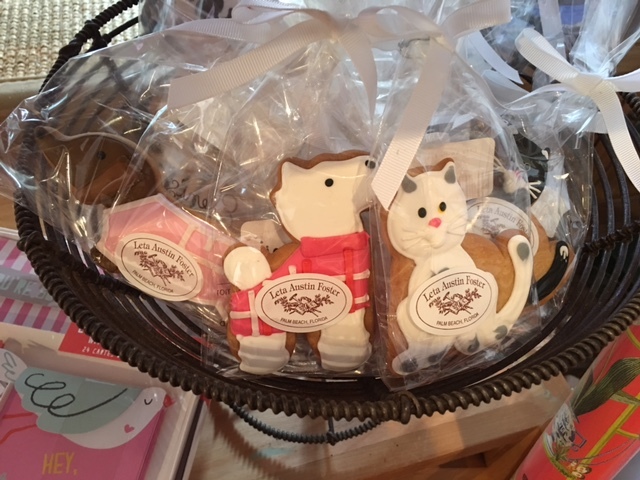 Custom made dog and cat cookies from Eleni's Bakery $8. 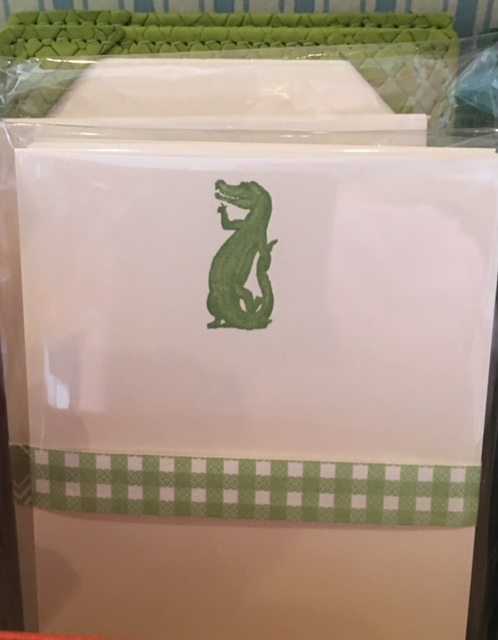 Gator Jotter Cards $14. 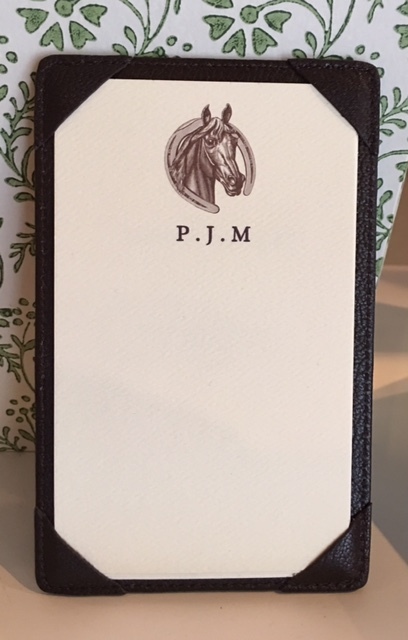 and Leather holder $35. Horse Jotter Cards with Mono $35. 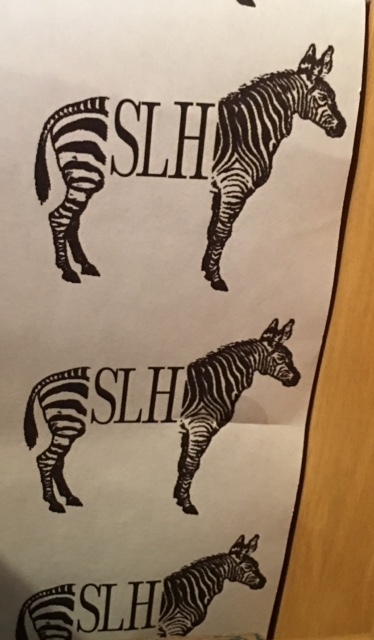 Next time you drop on by, please take note of all the wonderful animal themes and let us know if you think of something we could add to our collection. We always love your input ! 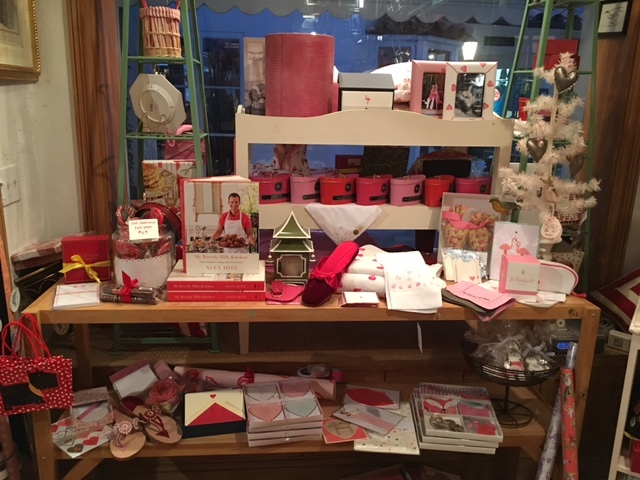 IT IS THE DAY WHEN THE DECORATING OFFICE IS CLOSED, SO I USUALLY SPEND THEM IN THE STORE WITH BETTY. WE PLAN NEW IDEAS FOR WHAT WE WILL CARRY IN THE STORE AND HOW WE WILL PRESENT THEM TO OUR CUSTOMERS (AND CLIENTS). BUT YESTERDAY, A WOMAN SAID TO ME WHEN SHE WAS IN SHOPPING THAT SHE WANTED SOME MORE RECIPES, SO TO HER AND ANYONE ELSE WHO WANTS THEM, HERE IS A NEW ONE (FOR MEAT LOVERS) AND AN OLD ONE FOR VEGETARIANS. 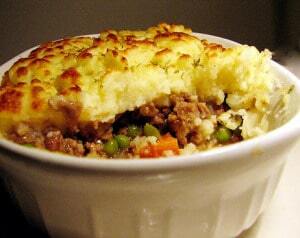 FOR THE CARNIVORES: 15 MINUTE SHEPHERDS PIE--NOT INCLUDING THE BAKING. BRING TO ROOM TEMPERATURE, A LARGE PORTION OF MASHED POTATOES (I GET MINE AT WHOLE FOODS IN THE READY-TO-EAT HOT FOOD SECTION. IF YOU DON'T HAVE A GOOD PLACE TO BUY THIS, USE BOB EVANS--THEY ARE QUITE GOOD. BROWN IN 1 TBSP OF CHILE-FLAVOURED OLIVE OIL, 2 POUNDS OF GROUND LAMB--I EITHER BUY IT AT WHOLE FOODS OR USE STRAUSS. SPRINKLE WITH SALT, FRESHLY GROUND BLACK PEPPER, AND THYME--EITHER DRIED OR FRESH. IF YOU GROW YOUR OWN THYME, JUST USE 2 SPRINGS--OR AS MUCH AS YOU WANT. YOU CAN EITHER TAKE THEM OUT BEFORE ADDING THE TOPPING OR NOT AS YOU SEE FIT. THE MEAT SHOULD BE PRETTY MUCH COOKED (ABOUT FIVE TO SIX MINUTES). DRAIN OFF EXTRA FAT, LEAVING A LITTLE BIT TO BE THE BASIS FOR THE PIE'S GRAVY. ADD 5 VERY THIN CARROTS SLICED INTO HALF-INCH PIECES, STIR INTO THE MEAT, AND THEN SPRINKLE WITH A PACKAGE OF BROWN GRAVY MIX--AGAIN I USE WHOLE FOODS, BUT IF ONE IS IN ISLAND MAINE, THERE IS NO WHOLE FOODS, AND THE McCORMICKS IS VERY TASTY ALTHOUGH NOT SO GOOD FOR YOU. 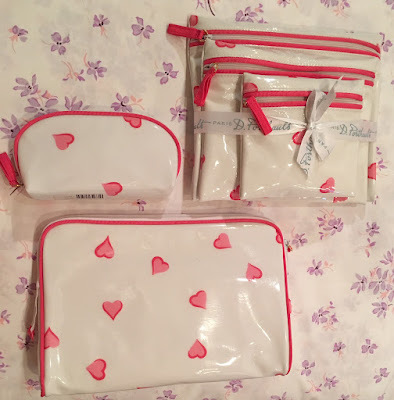 I USUALLY TAKE 8 PACKAGES WITH ME TO MAINE, BUT I HAVE RUN OUT. STIR AND ADD 1/4 CUP OF WATER, STIRRING IN. SPREAD THE MASHED POTATOES (IF YOU DIDN'T BRING THEM TO ROOM TEMPERATURE, THEY ARE HARD TO SPREAD) EVENLY ON TOP, MAKING A PRETTY SWIRL PATTERN WITH THE BACK OF YOUR SPOON. PUT INTO A HOT OVEN FOR ANYWHERE FROM 10 TO 20 MINUTES--JUST UNTIL THE SWIRLS ON TOP BROWN. THE GRAVY WILL BUBBLE UP THROUGH THE EDGES. I HAVE SERVED THIS AT TWO DINNER PARTIES WITH AN AVOCADO AND GRAPEFRUIT AND BIBB LETTUCE SALAD AND HOT ROLLS--I MUST SAY, TO GREAT ACCLAIM. BELIEVE IT OR NOT! 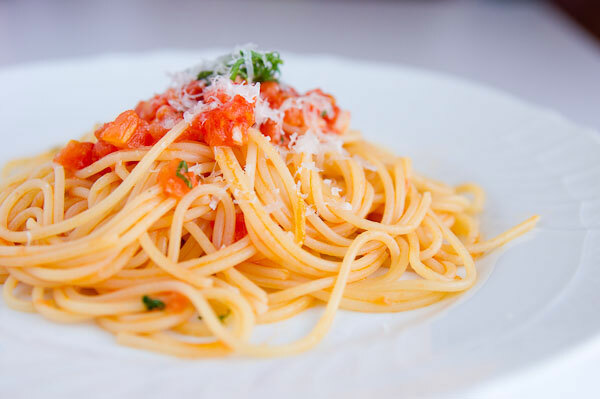 BRING TO A BOIL ONE BOX OF GOOD PASTA--ANY KIND ALTHOUGH IT'S BETTER NOT TO USE AN EGG-BASED ONE SUCH AS FETTUCCINE--IN DEEP WATER SALTED WITH AT LEAST 1 TABLESPOON OF SALT. WHILE THE WATER IS COMING TO A BOIL AND WHILE THE PASTA COOKS, CHOP COARSELY 2-3 VERY, VERY GOOD TOMATOES AND A LARGE HANDFUL OF BASIL--I GROW MY OWN SO THIS IS ABOUT FIVE LARGE ENDS OF BRANCHES--MAYBE ABOUT THIRTY LEAVES. YOU MUST HAVE A REALLY GOOK KNIFE FOR THIS--MY BELOVED DAUGHTER-IN-LAW, VERONICA--GAVE ME A LARGE WUSTHOF CHEF'S KNIFE WHICH IS PERFECT FOR THIS. ALSO GRATE ABOUT A CUP OF PARMIGIANA CHEESE. WHEN THE PASTA IS DONE TO YOUR LIKING, DRAIN IT, SAVING ABOUT A QUARTER CUP OF THE COOKING WATER. PUT IT BACK IN THE POT WITH 1/4 C OF OLIVE OIL (I ALWAYS HAVE 1 TABLESPOON OF THIS OIL BE CHILE-FLAVOURED), START TOSSING AND ADD THE TOMATOES, BASIL, AND HALF OF THE CHEESE. YOU NEEDN'T ADD MORE SALT AS THE CHEESE (AND THE PASTA WATER) ARE SALTY, BUT LOTS OF FRESHLY GROUND BLACK PEPPER IS, OF COURSE, ESSENTIAL. SERVE WITH THE EXTRA CHEESE FOR PEOPLE TO ADD AS DESIRED. AS YOU CAN SEE, I LOVE TO COOK (AND EAT) BUT I DON'T LIKE TO SPEND A LOT OF TIME DOING SO. 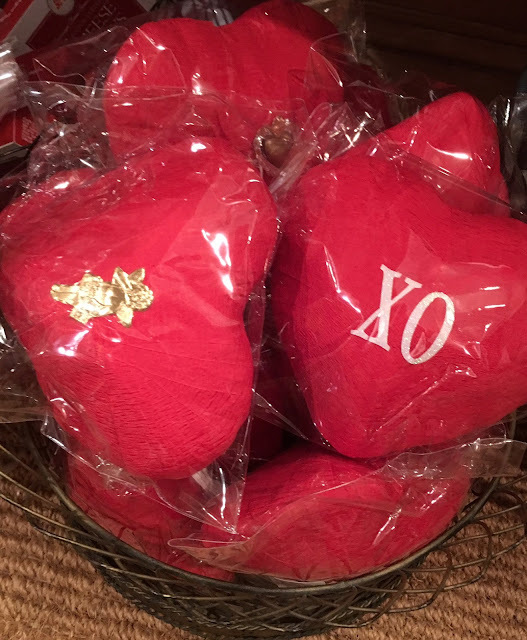 Love comes early to Via Mizner. 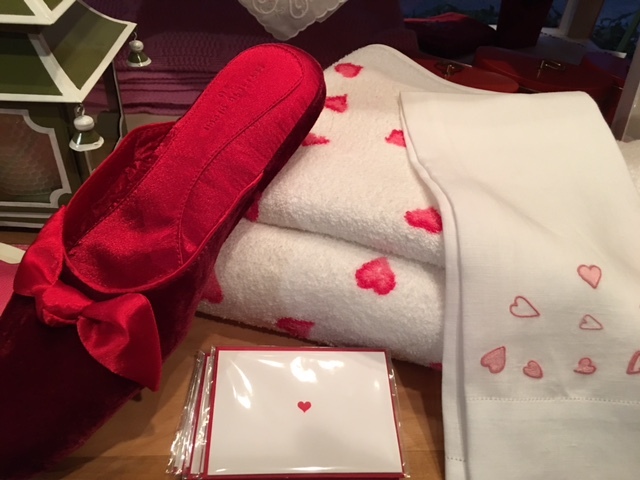 Now is the time to start thinking about how well you will treat your Valentine (or Valentines) and we are here to help you decide. Our inspiration tableau is abloom with hearts....pink and red.... that little enchanting cherub, Cupid, and enough chocolate to sate that craving for at least a day. 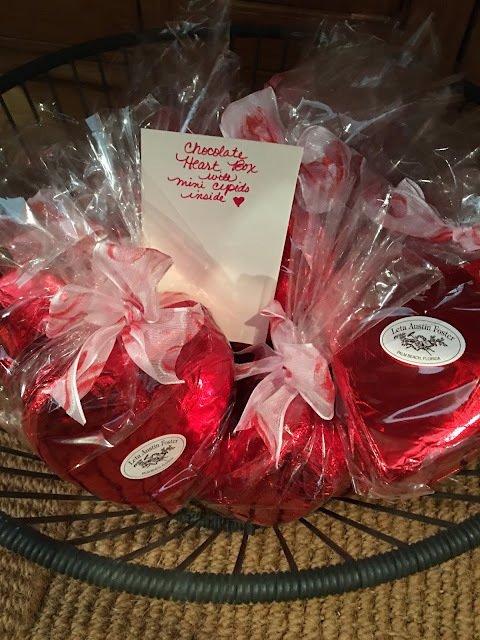 Chocolate Heart Box filled with chocolate Cupids $20. 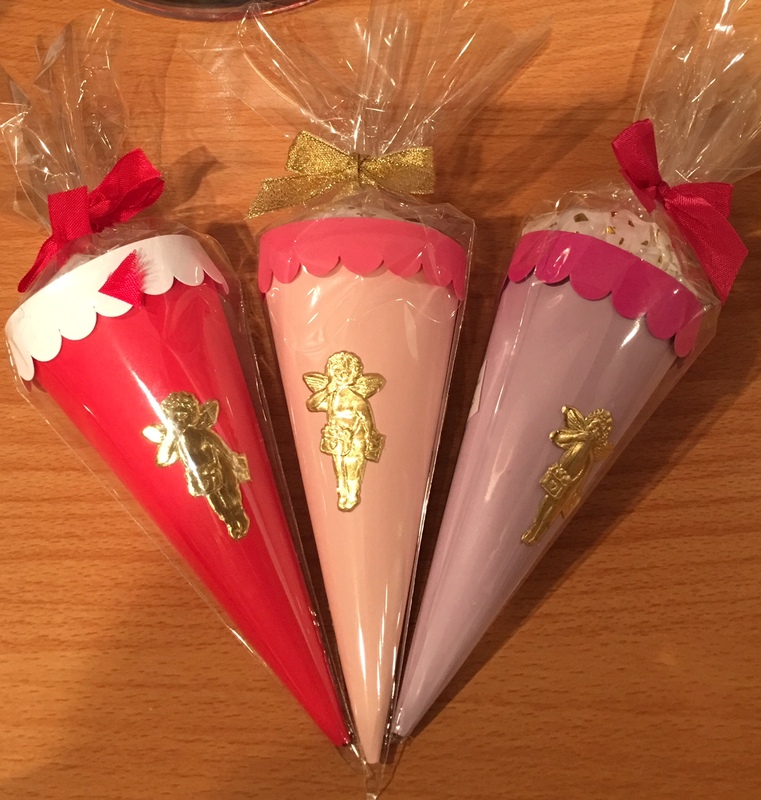 A wonderful present for your heart of hearts (yourself ??) 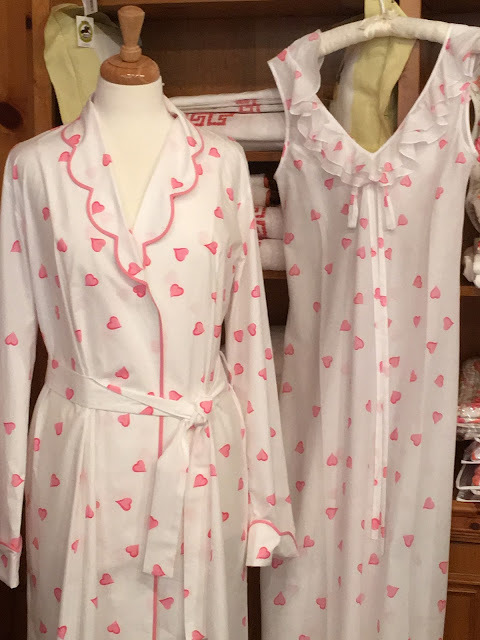 is a "Pink Coeur" Jacqui Robe and matching Anne Marie Nightgown by D. Porthault. 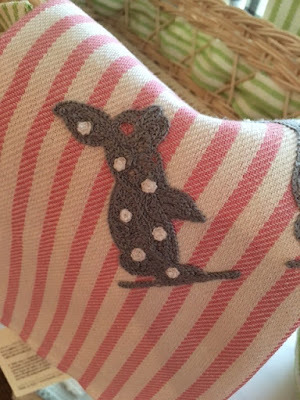 While you are at it, add a pair of Red Velvet Slippers for your cold feet. Yes, we know you have a warm heart ! D. Porthault Jacqui Robe $575. and Anne Marie Gown $495. Velvet Slipper $70. 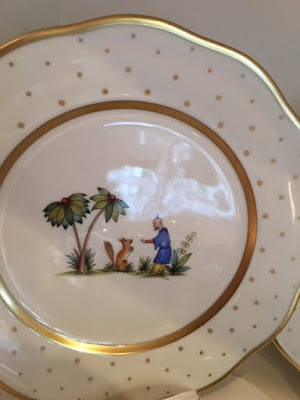 D.Porthault Bath $345. Hand $145. 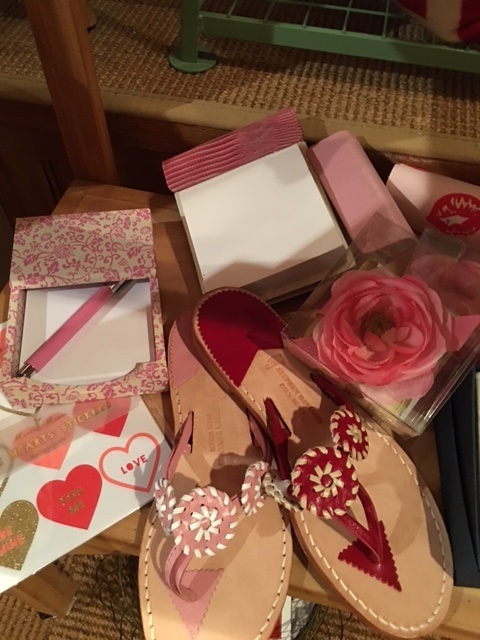 For those of you with warm feet, a must for Valentine's Day would be a pair of Bonanno sandals in pink or red as an homage to the day. Your friends will be jealous of your fashion sense and your knack of finding just the right accessory for every occasion. 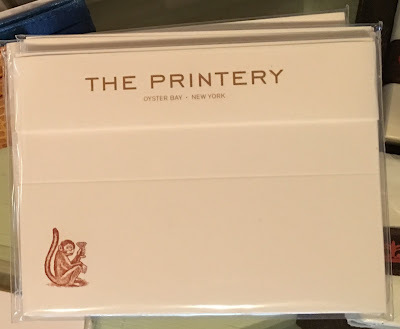 Il Prato Notebox $99. Faber Castell Pen $75. 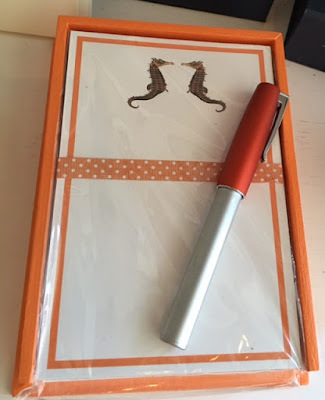 Batoff Notepad $48. Bonanno Sandals $125. 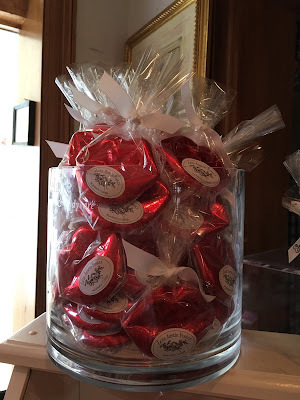 Estelle Billot Rose Sachet $18. If you are headed to a special dinner at a loved one's home, why not shower them with special hostess presents in keeping with the color theme we have going ? T and Co. Iced Tea Sachets in a Tin $20. Scottie Frame $48. La Châtelaine Chocolates $39. Palm Cottage Flamingo Notepad $24. Dempsey & Carroll XOXO Gift Tags $31. No one can resist these D. Porthault travel bags. 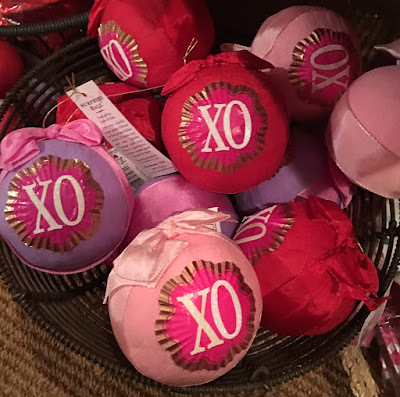 Pink Coeur is the best seller any time of the year. 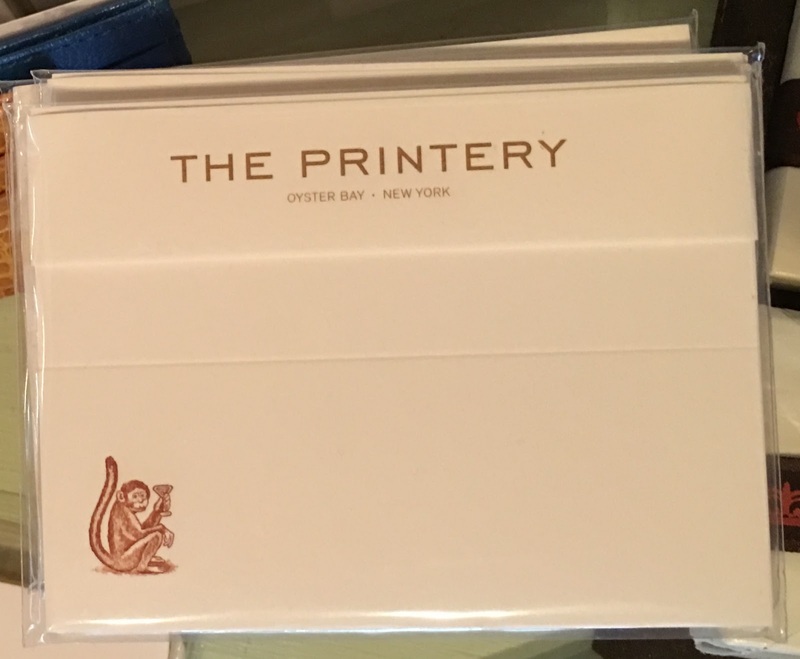 D. Porthault Mini Zip $85. 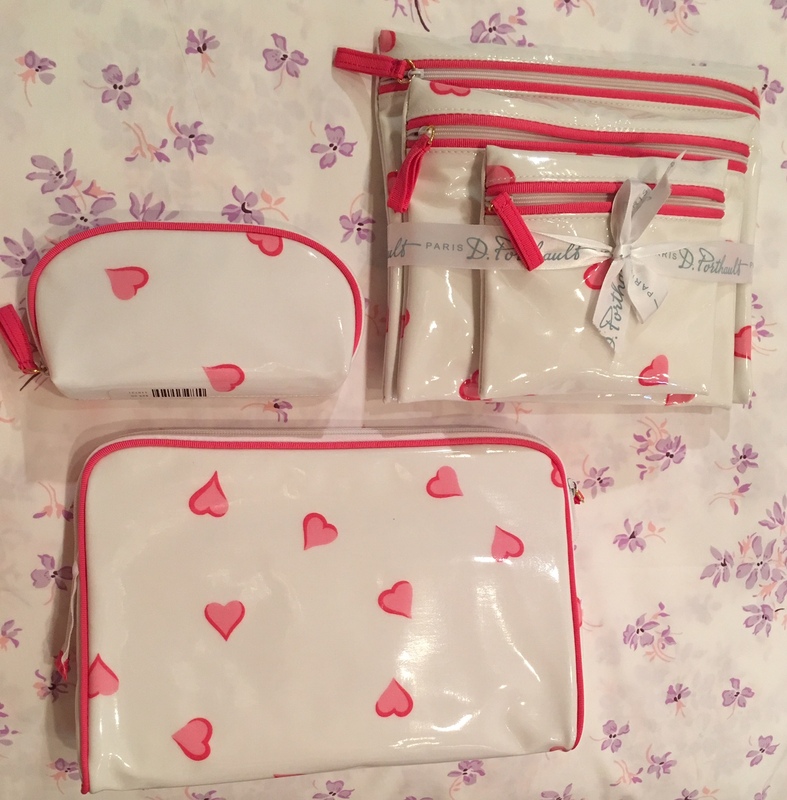 Trio $145. 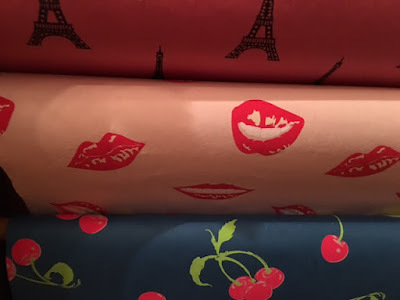 Wrap your presents in this adorable lips wrapping paper. Pink Eiffel Tower and red cherries would be adorable as well. Tie one of the red-foil wrapped chocolate lips to the package for a special treat ! Red-foil wrapped Chocolate Lips $2. 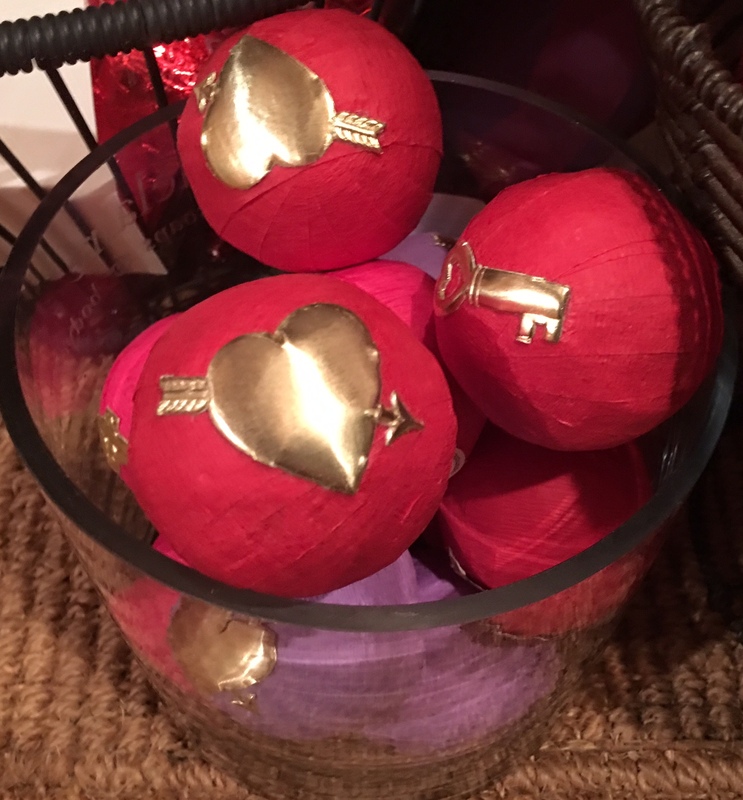 If you are the hostess of this affair, perhaps you would like to add one of our ever-favorite surprise balls with an XO (my favorite, of course) or a mini 2" one with a gold foil heart or key ? 2" Mini Surprise Balls $7. 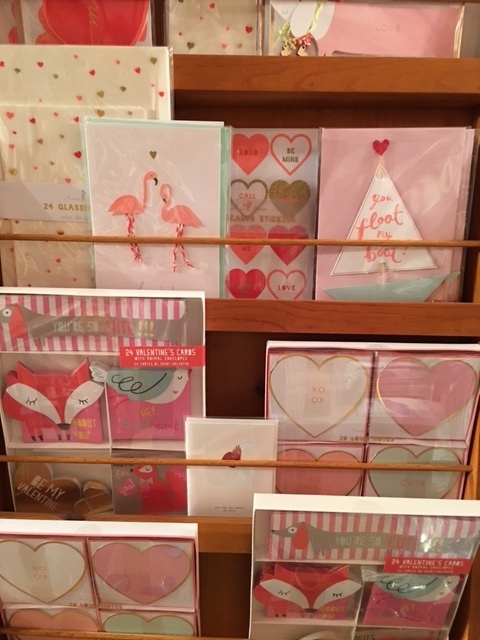 Don't forget to pick up your most important Valentine's cards. Send to family and friends....especially those who would not expect a card...and sign it "Guess Who ?". 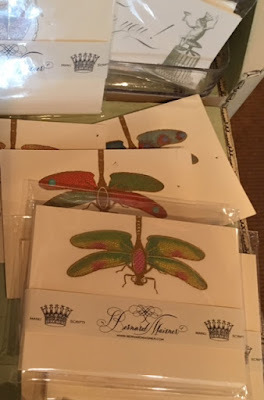 Assorted cards $6.95 to $12. 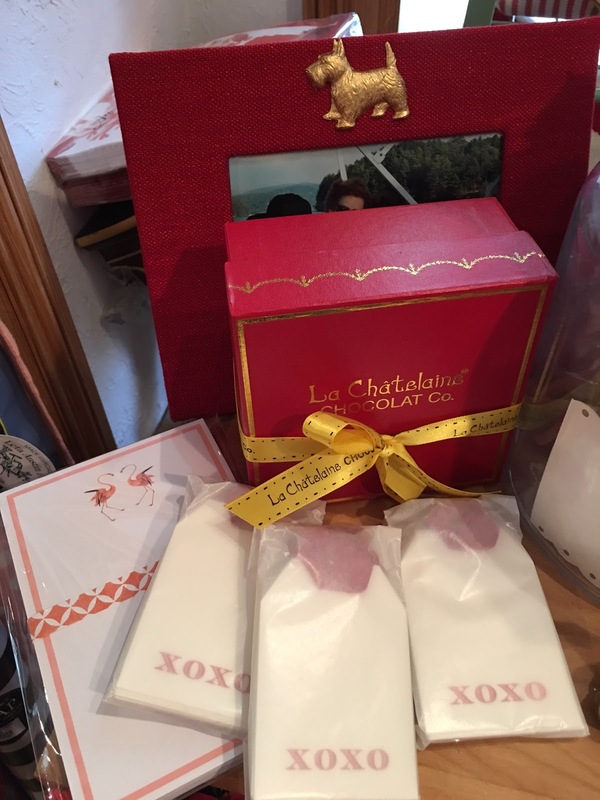 Watch a romantic movie, enjoy a nice cup of hibiscus tea and savor your decadent chocolates. Make your Valentine's Day lovely (I couldn't resist). I established my design firm over thirty years ago with two objectives: that one job should never look like another and that attention to detail would be my trademark. 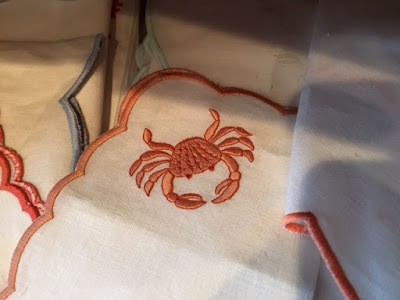 Whether inspired by a particular memory or just a piece of fabric, my ideas and sensibilities inform a working collaboration, so that every finished home is a distinct reflection of my clients and not simply a showcase. This has often lead me into some unexpected territory: reconstructing a baroque Italian villa on an empty Texas hillside, making an 18th century farmhouse on Cape Cod beautiful and comfortable or remodeling a 1930's townhouse in the Upper East Side. I feel as proficient working with modern as well as traditional interiors, French or English, casual or formal and find myself mixing all of them often. 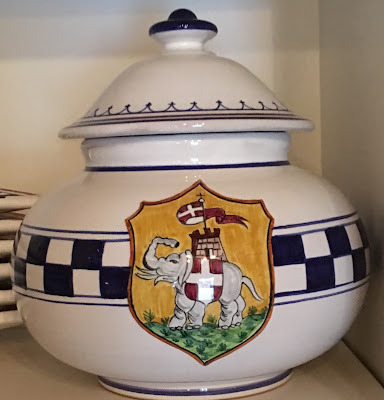 I was thrilled to be listed in 1988 by House and Garden as one of the "Great American Decorators." Simple theme. Theme images by Ailime. Powered by Blogger.